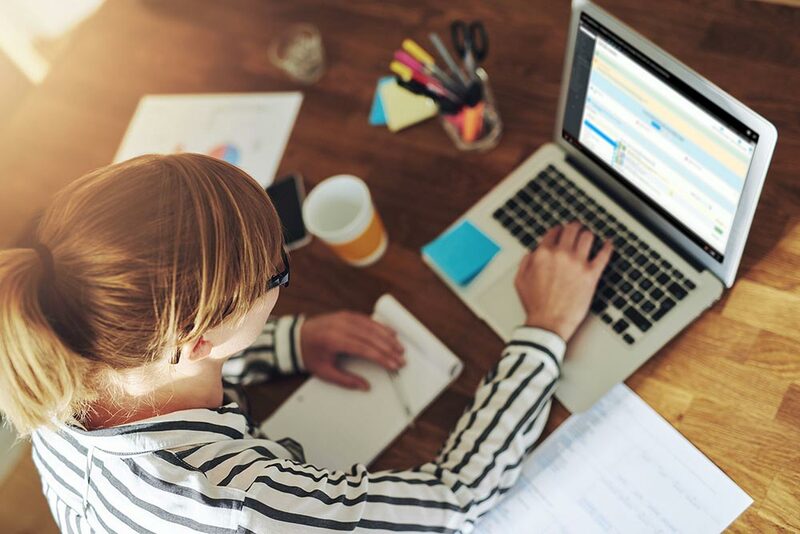 95% of consumers say that the content that accompanies a product is important or even very important to them when buying the same product. Increase the efficiency of your product sheets to reassure customers and increase sales. Promote your business and products in a simple and effective way. 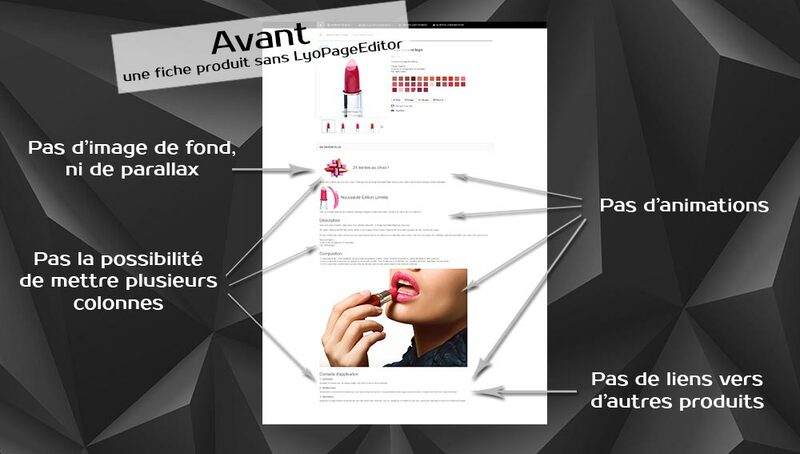 With LyoPageEditor you can create pages and improve your product sheets in your Prestashop shop easily. 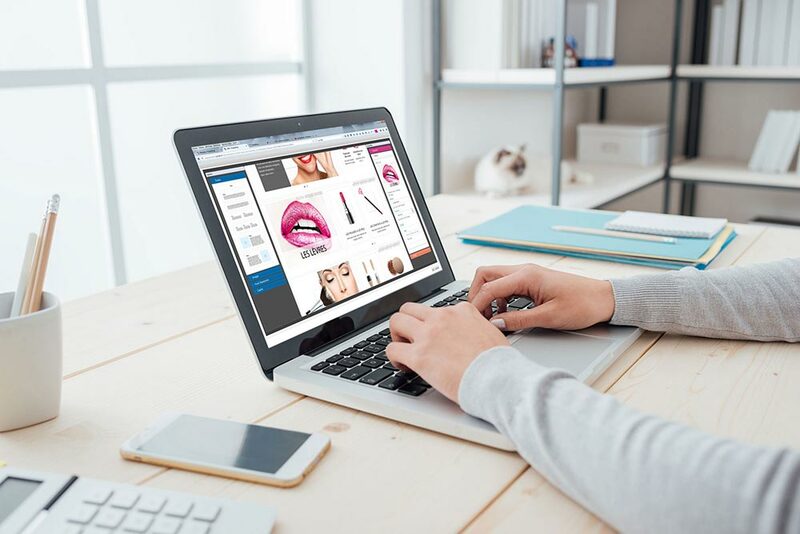 Create customized pages and product sheets easily. Create optimized pages for mobile, tablet and computer viewing. Move the items where you want in the page, using the mouse. A large bookstore of animations at your disposal attract the attention of your visitors. Suitable for all users: agencies and novices alike. Save and view your layout directly on your shop. 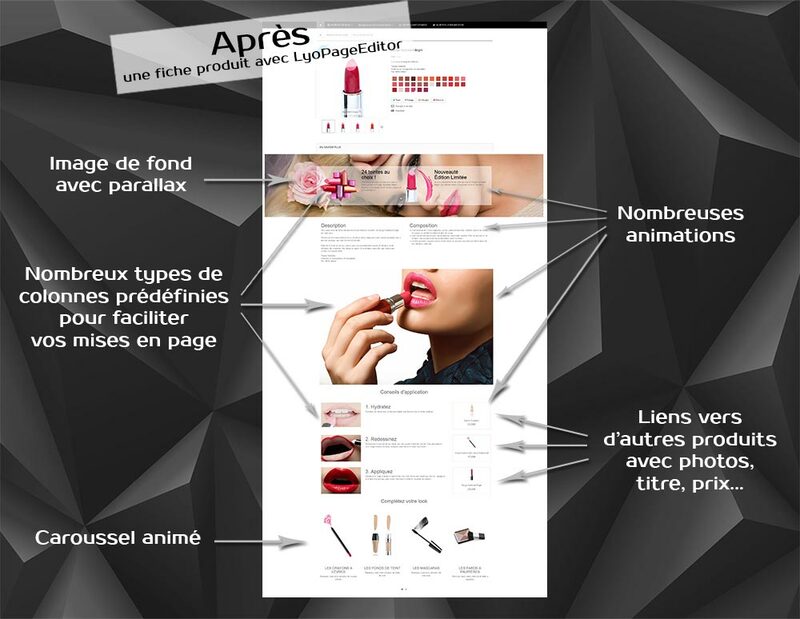 LyoPageEditor is also a team of professionals who create and make available tutorials and page templates to help you. We offer a large number of tutorials free of charge. They answer the most frequent questions and help you to take charge of the tool. Inspire our models of pages and sheets produced to realize your own creations. All our models are 100% responsive and 100% customizable, regardless of the visual identity or activity of your company.